For patients wanting to improve their smile’s appearance, now is the time to let Dr. Laurence C. Breiterman of Advanced Dental Techniques, a cosmetic dentist in Wayne, NJ, help select the right treatment option. Offering a variety of cosmetic dental treatments including dental implants, bridges, crowns, veneers, and Invisalign teeth straightening, Dr. Breiterman can help provide a healthy and attractive smile. Dr. Laurence C. Breiterman is now straightening teeth with Invisalign cosmetic dentistry in Wayne, NJ. Now is the time for patients to get the smile they have been longing for with help from Dr. Laurence C. Breiterman, a cosmetic dentist in Wayne, NJ. He and his staff at Advanced Dental Techniques offer Wayne area residents a broad range of treatments and services that deliver cosmetic results including the Invisalign method of straightening teeth without painful metal brackets. Invisalign is a way of straightening teeth that works by a patient wearing clear trays that are custom fit and move the teeth a little bit at a time. Multiple trays are made at the outset of treatment, each one slightly different. The trays are worn at all times except when eating or brushing teeth and are changed at regular intervals to facilitate the necessary movement. As an experienced cosmetic dentist in Wayne, NJ, Dr. Breiterman has chosen to utilize Invisalign because of its ability to deliver results and to be patient friendly. Advanced Dental Techniques is proud to be a leading provider of cosmetic dental treatments that help patients achieve a healthy and attractive smile. 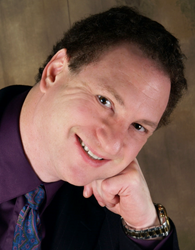 Dr. Breiterman’s work as a cosmetic dentist in Wayne, NJ is always conducted with the patient in mind. He is fully committed to patient satisfaction and finding new ways to make treatment options more comfortable for patients. In addition to Invisalign, he also performs dental implant surgery, laser gum treatments, and bone and gum grafts. Many people long for a healthy smile and can take advantage of Dr. Breiterman’s compassion and experience to actually put that wish into action. Visit his website or call his Advanced Dental Techniques office and schedule a consultation with Dr. Breiterman to learn how he can help make the dream of a new smile come true. Advanced Dental Techniques is a general practice offering personalized dental care for Wayne, New Jersey patients. Since graduating from the University of Medicine and Dentistry of New Jersey, Dr. Laurence C. Breiterman’s desire to become one of the best has led him to pursue almost 3,000 hours of continuing education. In 2007, Dr. Breiterman received the Mastership Award from the Academy of General Dentistry, which recognizes a dentist's commitment to advanced dental education. He is part of one percent of dental professionals providing the LANAP® FDA cleared laser procedure for gum disease treatment. Dr. Breiterman is also a Fellow in the International Congress of Implantologists and a member of the American Academy of Cosmetic Dentistry. To learn more about Advanced Dental Techniques and their dental services, visit their website at http://www.newjerseygumsurgery.com and call (973) 694-2835.